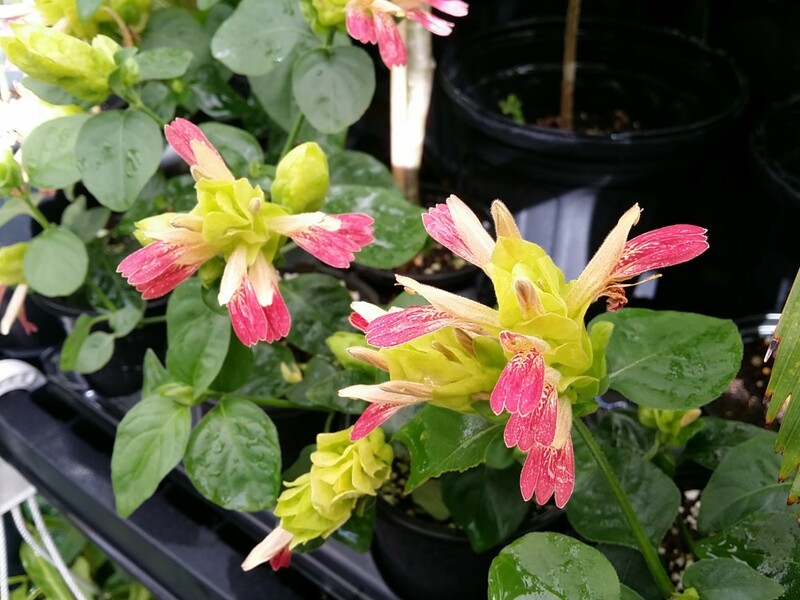 Some Cool Plants Around The Nursery – OPEN This Week! 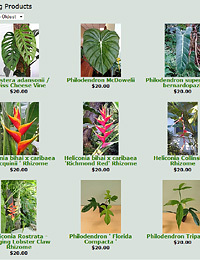 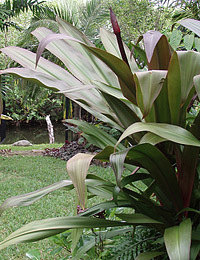 Exotica Tropicals is filling up with cool new plants- here are a select few from around the nursery. 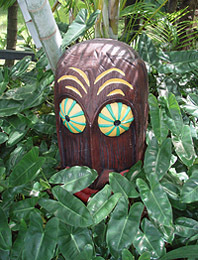 We are OPEN Wed – thru Saturday 9:30 to 1:30 PM (1 pm on Wed) going forward. 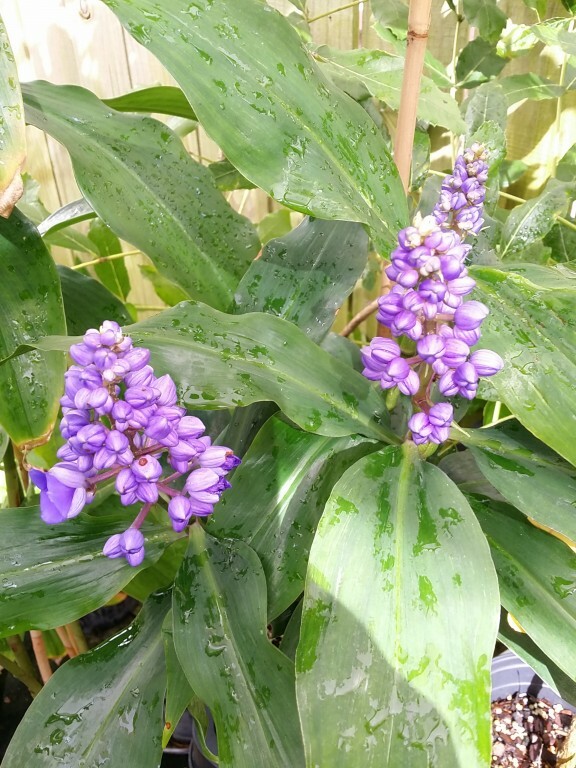 Blue Ginger Dichorisandra thyrsiflora In Bloom Now! 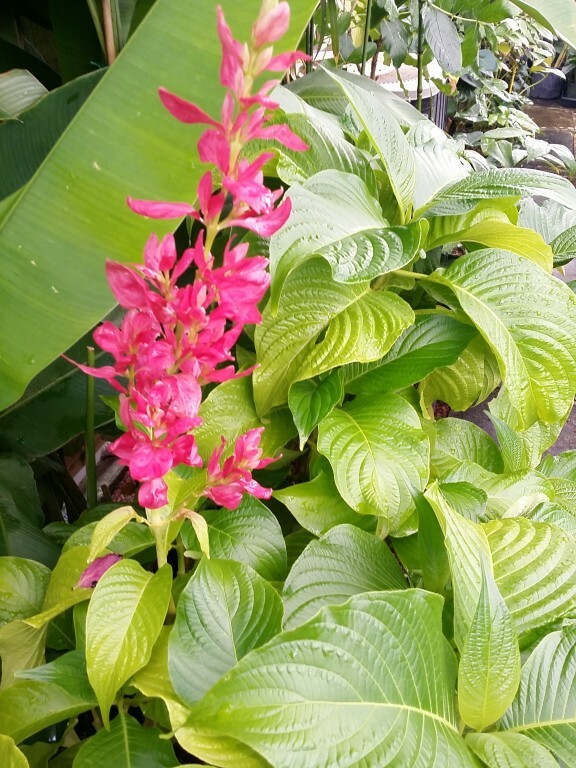 The Uncommon “Shrimp Cocktail” Shrimp Plant- this one has Pink, Yellow and White in each bloom. 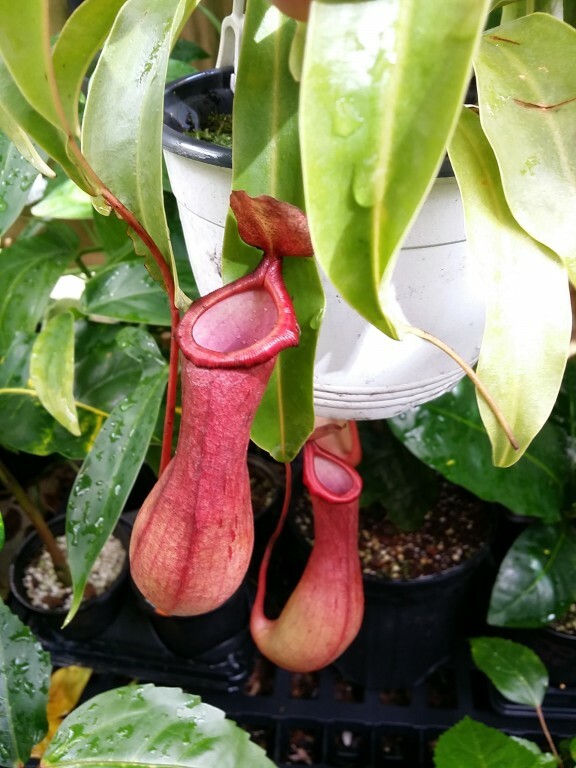 The nicest color of all the Shrimps! In 4″ Pots. 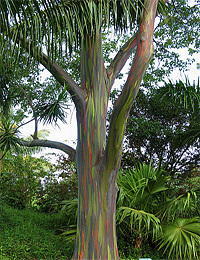 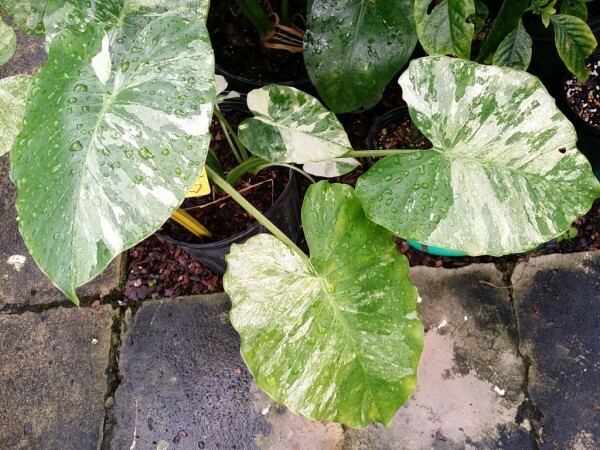 Variegated Alocasia gageana. 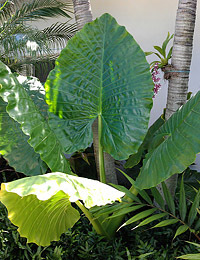 This is a smaller elephant ear with leaves to about 2 feet wide, full of white variegation. 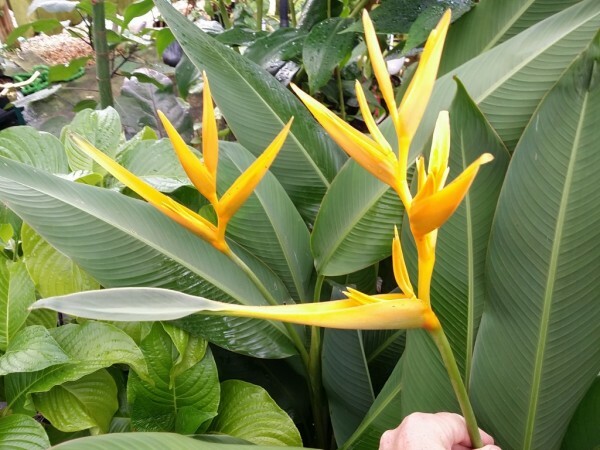 Heliconia ‘Golden Torch’ Blooming like crazy- Canary Yellow, up to 4-5 feet tall.